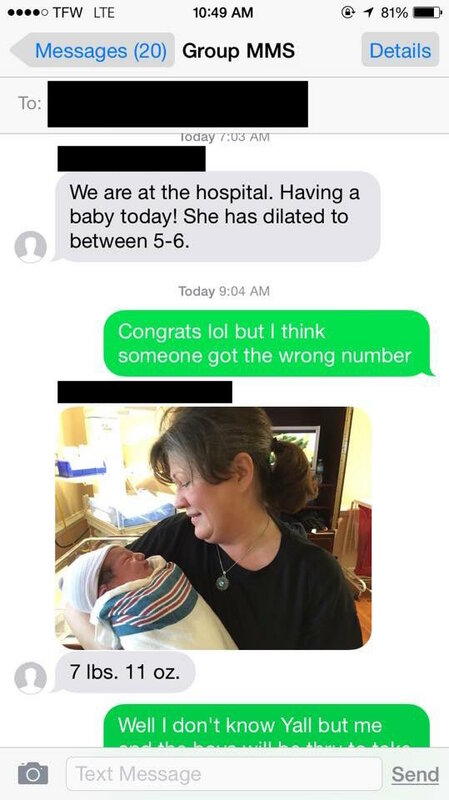 When Deorick Williams got a text from a number he did not recognize, he could have easily said "wrong number" and kept it moving. Instead he and his brother, Dennis, took the opportunity to make some new friends and welcome a new baby to the world. 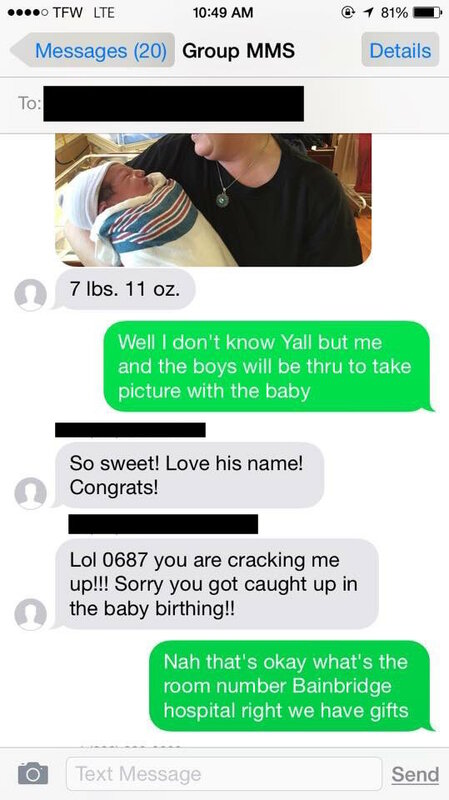 It was while being put into a group text with people he didn't know, that Williams found out about a new addition to a family. 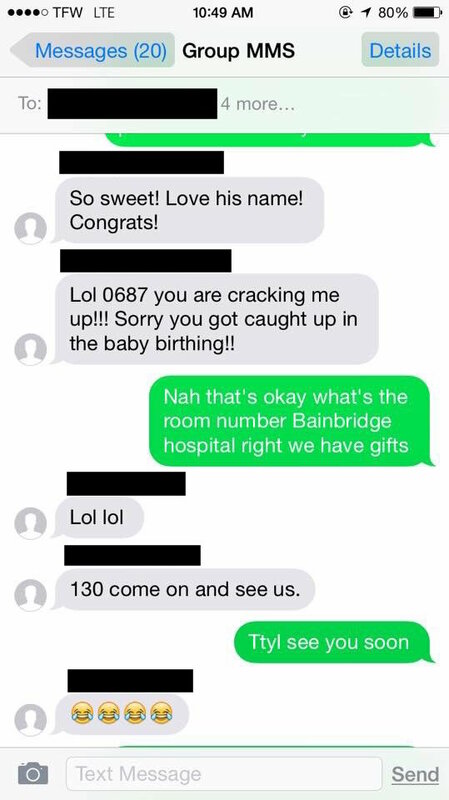 He proclaimed in the message that the group had the wrong number, but wasn't so quick to let the moment go to waste. 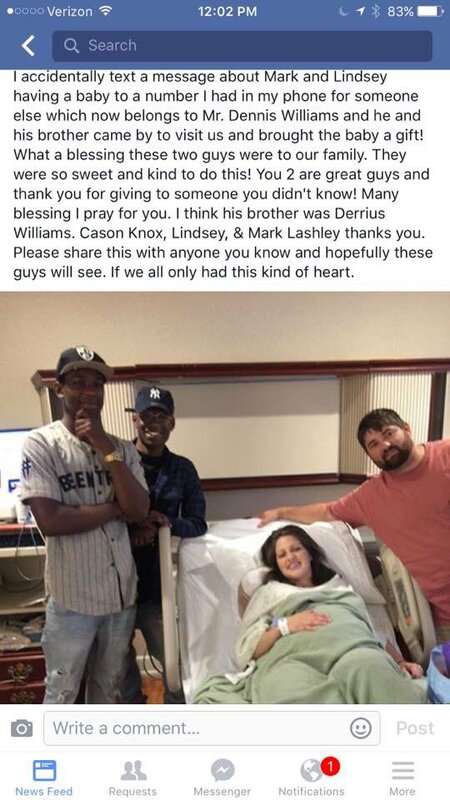 Instead he and his brother Dennis announced they would instead love to meet the new addition and bring gifts for the baby's birth. Although the family could have easily said no to inviting strangers into their hospital room and meeting their new child, they welcomed the pair with open arms and were touched by the Williams' kind gesture. Photo: facebook One of the family members even posted a photo revealing the moment on Facebook and said "You 2 are great guys and thank you for giving to someone you don't know!" Once Deorick Williams posted the text conversation and photo meetup on Facebook, the post went viral on social media and it's fair to say that both brothers will be someone's #ManCrushMonday. What do you think of this amazing story? Would you have done the same as Deorick and Dennis? Let us know in the comments.